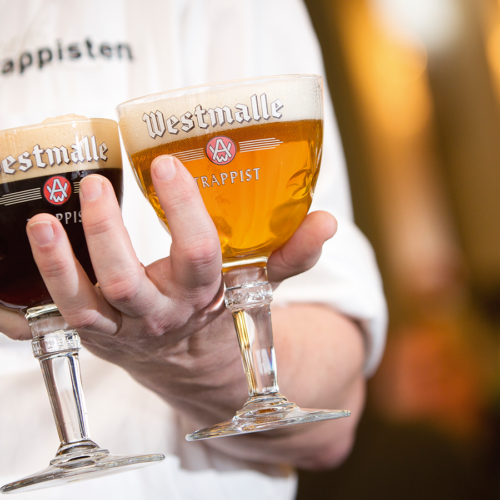 The monks at Brouwerij Westmalle created the Tripel style, first brewed in 1934. They also brew a Dubbel, but their Tripel sets the bar for all others. The abbey was found in 1794 and began brewing in 1835 with a beer that would be considered a Dubbel by today’s standard. The monks also produce cheese at the abbey. The 9.50% Westmalle Tripel is a complex beer with a fruity aroma, a nuanced hop scent, and a soft and creamy mouthfeel. Tripels are strong, golden and surprisingly drinkable considering most are 8-9% ABV. Tripels are well fermented and have a dry finish that highlights the fruity and spicy flavors created by the yeast. The best tripels are carbonated naturally using bottle conditioning and pour lively effervescent.